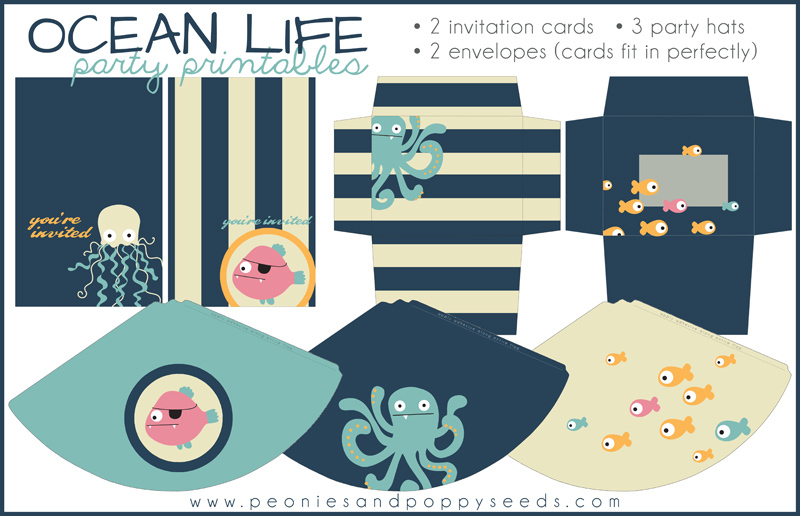 Have your own fishy ocean party featuring octopuses (I just really want to say octopusi). This printable party pack has three parts, the first part comes with two invitation cards, two envelopes (to put the invitations in), and 3 fun party hats! Check back later this week to get the rest of our fishy and jellyfish and octopus printables!